How much power does Trump’s Twitter have? Image: “Donald Trump” by Gage Skidmore is licensed under CC BY-SA 2.0. Nearly a week ago, a lieutenant in the United States Coast Guard was arrested and later indicted on drug and gun charges. The lieutenant, Christopher Paul Hasson, allegedly had plans to kill both innocent civilians and high-up, left-leaning politicians. Hasson is a self-proclaimed white nationalist and said many concerning statements regarding the planned attack, including his dream to “establish a white homeland.” He also said he was “dreaming of a way to kill almost every last person on earth.” His list of targets included Nancy Pelosi, Alexandria Ocasio-Cortez and Chuck Schumer, all popular democratic politicians, as well as prominent journalists such as Don Lemon and Chris Cuomo of CNN. Authorities also found 15 firearms and 1,000 rounds of ammunition — as well as drugs such as steroids and opioids. This is the second planned attack on left-leaning politicians and media members in the past few months, with the first being attempted bombings on people such as the Clintons, Obamas and CNN. The question is — who’s to blame? Is it Donald Trump and his constant attacks on Democrats and mainstream media? For Hasson, he says it was the right-wing Norwegian mass murderer Anders Behring Breivik, whose manifesto he had been studying. Should we blame him? Or is it simply one bad apple who has taken hatred to the extreme? There is evidence that Hasson was inspired, at least in part, by the things Trump has said. On his list of alleged targets, he called Elizabeth Warren “poca warren,” an abbreviation of the nickname Trump has given her, Pocahontas. His internet search results also contained questions about Trump and impeachment. Not only has Trump’s hateful rhetoric created a distrust and dislike of the media, but it’s had violent implications, such as Hasson’s plans to not only go after leftist politicians, but also journalists who criticize Trump. It’s no secret that Trump holds contempt for the media and the way it portrays his administration. With phrases such as the media being the “enemy of the people,” and constantly calling outlets fake news, his supporters have also increased their distrust of the media. In this day and age, there are many people who distrust journalists and media and Trump has done nothing but spur on this harmful rhetoric against journalists. Journalists exist to keep powerful people in check – including leaders like Trump – and to aid our democracy. Trump’s unprecedented use of social media has changed the way he speaks to his followers and the way he can impact people with his ideas in a fast, casual way. Trump can quickly send out ideas and statements through social media without having to think about the impact it may cause or have someone look over it, as he may if he is presenting a speech or public statement. Trump’s supporters see his tweets about the media being fake news and his either blatantly false or unverified statements as fact, because he is the president. Although it’s true social media can and does do good for many things — it can just as easily cause harm. Just a few days ago, on Feb. 20, Trump tweeted, “The New York Times reporting is false. They are a true ENEMY OF THE PEOPLE!” It’s really no surprise that we have seen an increase of violence against journalists and plans such as this one and the CNN bombing. Social media is no doubt a powerful tool that can be used to help us gather and learn information, as well as spread it. However, that kind of power can be abused very easily and can encourage people like Hasson and make them believe that they are doing some kind of good by attempting to eliminate and silence what they believe is the enemy of the people. You cannot put the blame on one single person or idea for Hasson and other domestic terrorists, actions except for that person himself. 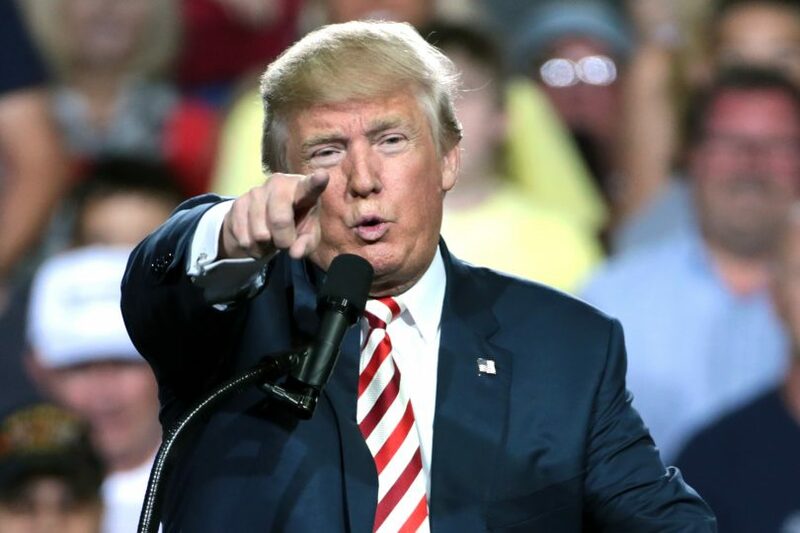 However, Trump has a hateful and harmful rhetoric against the media that has been influencing his followers for quite some time and has started to escalate even more recently, with violence and threats against journalists. Journalists are a necessity for a democracy and free society to work and must be able to report the truth without criticism from the leaders of the country. Although Hasson was caught, the actions he was allegedly planning to take still have an impact and show the kind of society we’re currently living in.